As much as I love a good refined, healthy, well-rounded meal, I have to admit: I love chicken nuggets. But what’s better than chicken nuggets? 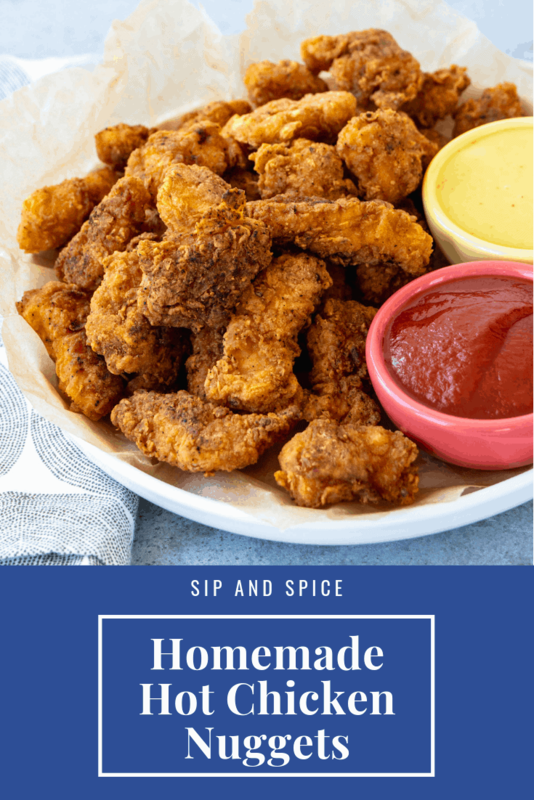 Homemade Hot Chicken Nuggets. While they may not be the healthiest meal around, sometimes it’s just so much fun to splurge a little and whip up some homemade chicken nuggets and french fries for dinner. It may only be one step removed from driving through the Burger King drive-thru (Burger King nuggets over McDonald’s all. the. way. ), but it counts! 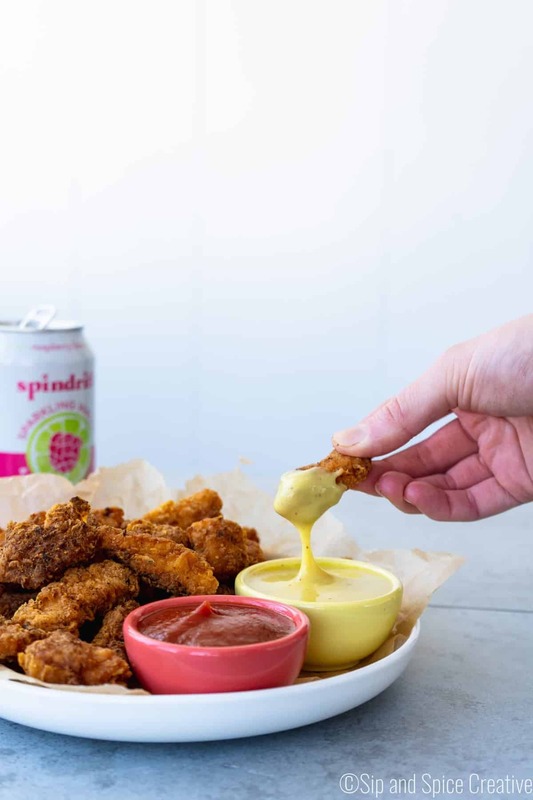 What makes these Hot Chicken Nuggets so much fun is their little kick – quite reminiscent of Nashville Hot Chicken … but in bite-size form. Because everyone knows that the tastiest things are even more delicious when they’re small and, most importantly in my humble opinion, dippable! 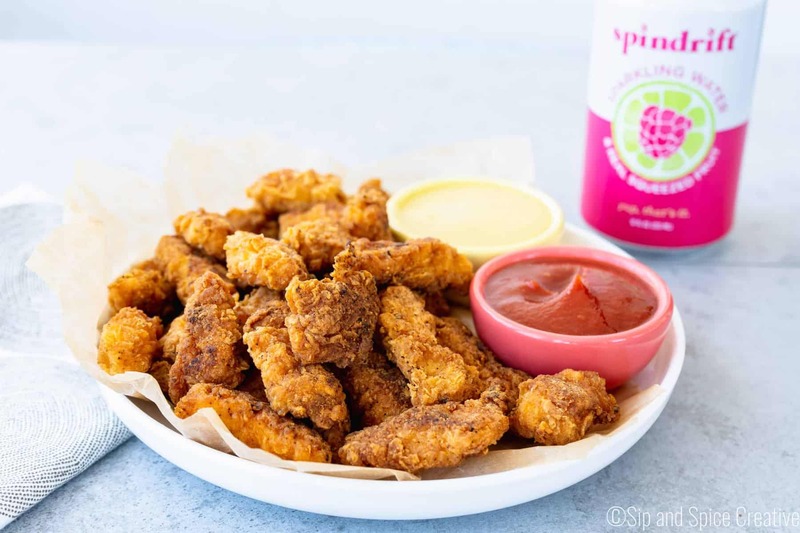 We make these Homemade Hot Chicken Nuggets with a simple three-part dredge of flour, egg and flour and then shallow-pan fry them until crispy. 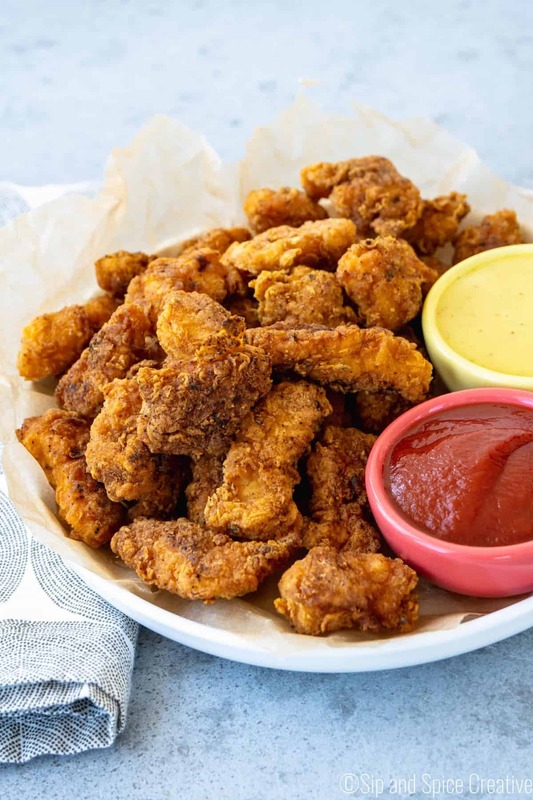 Keep them warm on a rack in the oven while finishing the cooking and serve with dipping sauces or let them cool all the way and freeze them for homemade frozen chicken nuggets. 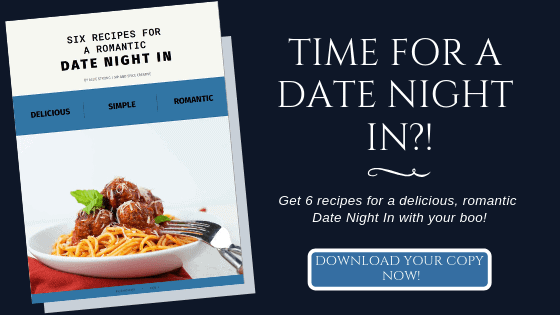 Even better than the stuff from the store on a late night when nothing else will do! Split the chicken breasts in half to make 4 thin breasts, then cut into 2-inch pieces. Set up your dredging station: In a shallow bowl, combine the flour, 1 tablespoon salt, onion powder, garlic powder, cayenne and 1/2 teaspoon black pepper. In another shallow bowl, crack in the eggs and add in the remaining teaspoon of salt and 1/2 teaspoon black pepper. Mix together to break the yolks. Heat a 10 or 12 inch skillet over medium heat and pour in a 1/4 inch of oil to coat the bottom of the pan. 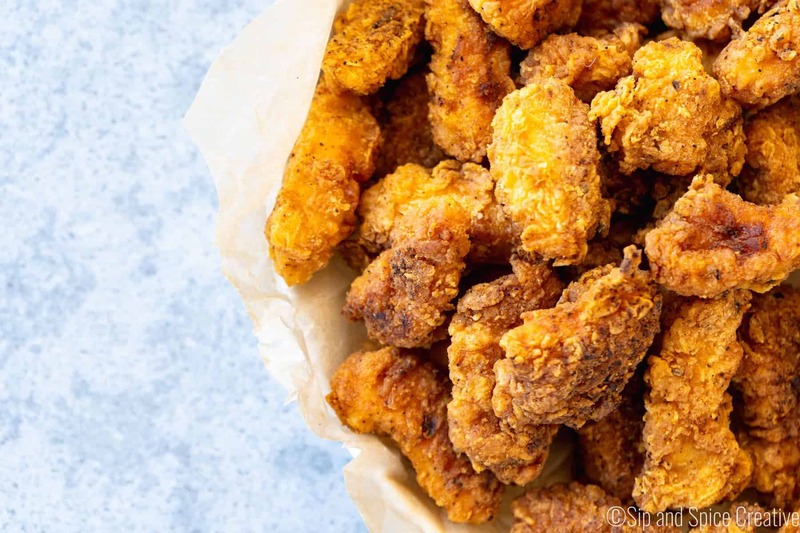 Once hot, start working in batches of about a dozen nuggets: For each piece of chicken, dredge it in the flour to coat, then dip in the egg to cover completely, and dredge again in the flour mixture. Then add to the pan. Repeat leaving 1/2-inch between each chicken nugget. Fry the nuggets for 6-8 minutes per side until golden brown on the bottom, then flip and finish cooking on the other side. Remove them to a sheet pan fitted with a cooling rack to drain. If you're planning to eat all nuggets, consider putting the pan in a warm oven (about 200 F) to keep them warm between batches. Repeat process with all chicken, until all your nuggets are cooked. Serve with dipping sauces or let cool completely and freeze.